I had mixed feelings about Rundgren's 2008 release "Arena" when it was first released. I wrote about it and the subsequent tour for The Huffington Post. You can read that HERE. Even the man himself said a few words about my comments. 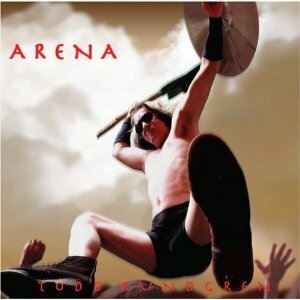 Since then, "Arena," its cheesy production aside, has become one of my oft-played Todd records, and the ballad "Weakness," has secured a permanent slot in my Rundgren Top 10. "Weakness," with its powerful, pleading lyrics rival the heyday, when Todd would bare his soul and in turn force you to surrender yours. I've been hooked on this tune since the end of 2008, and more than ever these last few days. Used copies of "Arena" are selling for $2. I strongly suggest giving this record a chance. It's been a bit of time since we did a "Todd On Mondays," post, so I'd like to throw this one in as well. From the second installment of Rundgren on Live From Daryl's House, a version of Todd's "The Last Ride" that rivals any one of the classic performances of the 70s. It doesn't matter if you're a fan of either or neither, if you're a music fan, you'll appreciate the performance. "The Last Ride" was un-freakin'-believable! 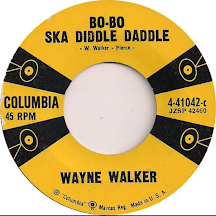 I, like you, believe that Todd has created some of the most beautiful music ever created by a human being and I've been a fan since 'We Gotta Get You A Woman'. You know how I feel about 'Arena' but, for you, I went back and listened with an open mind. While I can hear some flashes of what we all love about him in the chorus and last minute or so, and the great lyrics notwothstanding, it doesn't touch me like it does you. 'The Last Ride', on the other hand, is sweet! Liars is a similar one. I didn't dig it at first (maybe it's that freaky cover? ), but I now think it's one of the best damn things he's ever done. "Weakness" is indeed great, great stuff. I, too, have been softening on Arena - other than the AC/DC number...hey, you gotta draw the line somewhere. But still, a bit of a bring down from Liars...kind of like 2nd Wind was after Nearly Human. That's a great article in HuffPo and Todd makes a valid point - but the subjectivity he refers to applies to you too, Sal...so I'd say your opinion on that is every bit as valid as your thoughts on song quality. Noa Sane, nice comparison regarding "Arena" to how "2nd Wind" followed "Nearly Human" - that's it! Good one Noam. My sentiments exactly, re" 2nd Wind & "Liars." As for the AC/DC track, it is such a great guitar solo though.